The introduction of the Western Hemisphere Travel Initiative has made it mandatory for air travelers between Mexico and the United States to have a valid passport. If you intend travelling by sea or land, the type of travel documents that are acceptable changes. Before you start preparations for your trip to Mexico from the US, you should ensure that you have the correct travel documents, as well as adequate insurance coverage. If you are a US citizen, you should ensure that you have a valid passport if you are visiting Mexico. Passports are the best form of identification. It is also the best way in which you can prove your citizenship status. In view of this, it is best that you obtain a current, valid passport, particularly if you intend traveling by air when it becomes mandatory. There are other documents you can make use of if you do not want to get a passport, or you are unable to do so. The new initiative has prompted the government to introduce the passport card which acts as an alternate identification form. It is a wallet-sized card that proves you have US citizenship. This form of identification is easier to carry around with you than the traditional passport book. The card is valid for sea and land travel to and from Canada, Mexico, the Caribbean and Bermuda. Unfortunately, this card is not valid if you wish to travel by air. If you are required to travel to Mexico on a regular basis, the SENTRI card may suit your purposes. It is issued by the US Customs and Border protection. You will need to obtain pre-approval to obtain this card. The card is valid for a period of five years and you get the benefit of being able to use dedicated lanes when you cross the border. The FAST card is similar to the SENTRI card, but is available for use by commercial truck drivers. 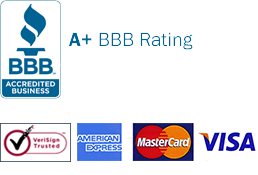 It is necessary to obtain pre-approval when you make application for this card. The card is valid for travel between the US and Canada, and between the US and Mexico. Commercial truck drivers who hold this pre-approved card get the added benefit of crossing the border via dedicated lanes. An Enhanced Driver’s License acts as adequate proof of identity and citizenship. The license is valid if you travel to Mexico by sea or land, but is not valid for air travel. The license available in selected states only. To check if it is available in your state, you should confirm with your local state licensing department. If you are a permanent residence of the US, you will require a passport to enter Mexico. Upon your return to the US, you will require the I-551 Permanent Resident card. Canadian citizens who travel to Mexico require a passport, as do travelers from other countries. Citizens from other countries may also require a relevant visa. In view of all the travel requirements, you should ensure that you have valid documents before you travel to Mexico. Apart from your travel documents, you should also ensure that you have adequate Mexican insurance, particularly car insurance. You may click here to purchase your Mexican insurance policy. Be sure to make all arrangements for your visit to Mexico, planning is vital for occasions like these; just do remember to put your Car insurance a top priority for a safe journey. Canadians can purchase latest coverage and insurance policy from Mexican Insurance Store for their business trip to Mexico. So you can have legal proof of using the vehicle as accidents may occur anytime anywhere. 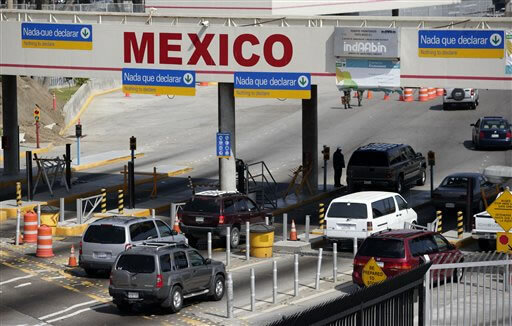 Foreigners should have all the legal documents and relative material to travel in and out of Mexico as well as getting Mexico insurance to tackle with the border officials or else they can be targeted with serious crimes in case of any incident on the road. Crossing Mexico border requires legal documents for you and your vehicle so that you don’t get stuck into awkward situations. Get legal proof for your travel by applying from Mexican insurance store. Extremely enjoyable and surely the most entertaining place to spend your spring holidays is Mexico. Colorful beaches with a pleasant atmosphere. A must visit place for everyone. Keep all legal documents along with you while visiting Mexico. In case of any incident, border official can easily verify your authenticity from Mexican Insurance Store. Try and manage to drive very carefully during night hours on highway to Mexico, don’t travel without Mexican insurance as well as legal documents for your trip. It is advised not to travel during night hours though. You can start chopping and prepping of food ingredients beforehand then go ahead and cook it once you get in the camp site. In many ways, La Paz serves as a cooler place compared to other destinations in Mexico. So buy your Mexican insurance policy now and experience the cool nature of La Paz. Many students with cars can travel easily to Mexico. Seeing Mexico for the first time is exciting much more to college students.